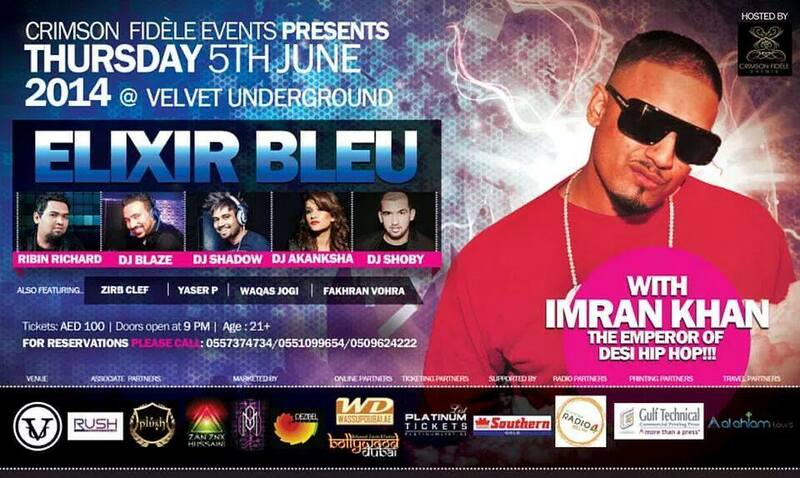 GET READY FOR AN UNFORGETTABLE NIGHT WITH ONE AND ONLY (IMRAN KHAN) COMING TO SATISFYA!! THE EMPEROR OF DESI HIP HOP!! WE INTRODUCE YOU DUBAI’S MOST UNIQUE PERFORMERS LIVE FOR THE FIRST TIME IN DUBAI …. Previous articleONE DIRECTION BUSTED! SMOKING WEED. Next articleRihanna Almost Naked at CFDA Awards!